A strange thought went through Deontai Williams' mind as he sat in Pinnacle Bank Arena watching a Nebraska men's basketball game against Kansas and seeing volleyball updates on the scoreboard. He would love to play football at this school. 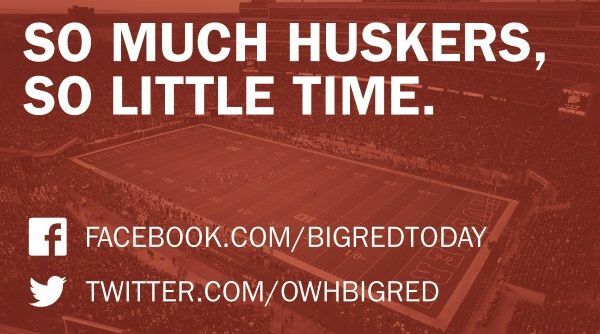 So, the following Sunday afternoon, the junior-college player and consensus three-star defensive back prospect made it official by tweeting out the news he had committed to the Huskers. "The reason why I committed was because of the new coaching staff," Williams told The World-Herald. "They are so for real; they ain't going to lie to you. I heard the fan base is crazy, then when I went to the basketball game (Saturday) night, it proved to me that it's the greatest fan base. Those people really take care of their athletes." A highly-recruited defensive back out of high school in Jacksonville, Florida, Deontai Williams pledged and decommitted from both Florida and Georgia and drew interest from most of the top programs in the SEC. But he didn't meet academic requirements for the conference and signed with Frank Solich's Ohio team in 2015. He didn't qualify there, either, and ended up at Jones County in Ellisville Mississippi, where he was listed as a redshirt freshman this fall. The No. 2 juco safety in the class and No. 34 juco prospect overall according to the 247 Sports composite withdrew his verbal pledge to Florida for a second time earlier this month after the Gators made a coaching change. "I felt like juco helped me," Williams said. "I was in my own world and wasn't trying to listen to nobody before. It humbled me and helped me grow as a person because I wasn't used to going all the way to Mississippi playing football." Williams called himself a "versatile" player and said coaches told him he would have a chance to earn a spot at safety or corner. He plans to be in Lincoln in January ready to compete. Williams said he knows fellow Jacksonville native and recent Nebraska cornerback grad Chris Jones but otherwise will join his new team with faith in the coaching staff and hope for how he can contribute to a Big Red revival. But did he ever expect that this is where he would play in 2018? "Oh my, no," Williams laughed. "God works in mysterious ways. I never felt like I'd be playing in Nebraska. But I feel relieved, to be honest with you. I have my college. I don't have no more stress. I can't wait to be at Nebraska in a few weeks."